15 May Spend summer sipping Gamache Vintners’ award winning wines! 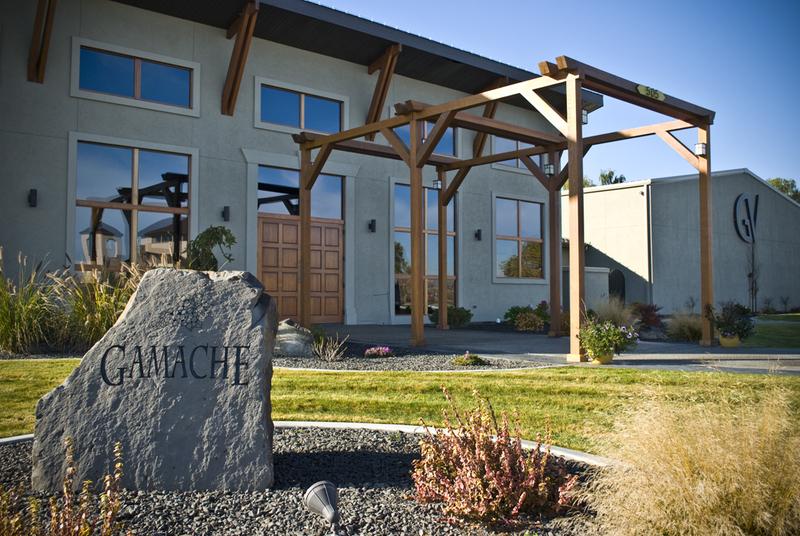 It’s that time of year when the weather is perfect for wine tasting at Gamache Vintners! We just released our 2011 Viognier, an annual fan-favorite. Fermented in neutral oak barrels, it’s a nice, dry white wine with a crisp finish. It’s no wonder we have just 80 cases left! Another wonderful summer wine is our Riesling. Many think Rieslings are only sweet, but you need to give ours a try, it’s an off-dry white with just 1.2 percent residual sugar – beautiful fruits, and a refreshing finish. Summer of course makes white wine extra popular, but we are also well known and loved for our reds. Our 2007 Syrah just received a 92 point score from Wine Spectator, and pairs perfectly with smoky meats off the grill. It’s the perfect barbeque accompaniment and the epitome of Washington State Syrah. We’re open in Vintner’s Village in Prosser from 10 a.m.-5 p.m. every day and our tasting staff is ready to show you the best tasting experience you can get. Stop by and see us!